The Caribbean region is a popular holiday destination for vacationers from the U.S. and many other parts of the world, and there are plenty of good reasons why. The region boasts of having a number of intriguing features and attractions including diverse cultures; pristine, sandy beaches; clear, sky-blue waters; historic buildings and sites; lush rainforests; world-class golf courses; beautiful, all-inclusive resorts; and more. Ooh, the people there are amazing! If you are the kind of person that gets mesmerized by picturesque views, a trip to the Caribbean is exactly what you need to have a great time away from home. 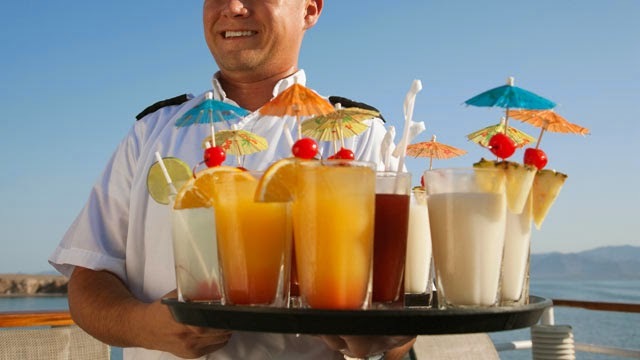 While you are on vacation, you shouldn’t pass up the chance to try some of the best rum drinks unique to the region. This is arguably the most popular cocktail in the Caribbean world. It is a concoction of white rum, coconut cream and pineapple juice, whose origin still remains disputed. Though Puerto Rico is the officially recognized home to Piña Colada, Cubans also lay claim to the drink’s invention. No matter what the true origin of this cocktail is, you should definitely try it when you visit either of the two Caribbean Islands. You might want to know that most people, especially the Caribbean people, like to have this drink very cold. There are many varieties of rum punches served in the Caribbean Islands, but two varieties stand out from the rest — the Jamaican Rum Punch and the Barbados Rum Punch. The Jamaican variety is a concoction of Jamaican white rum, grenadine syrup, and a tropical fruit mix of lemon juice, orange juice, and pineapple juice. The Barbados variety, on the other hand, comprises aged Barbados rum, lemon juice, rich simple syrup and a dash of Angostura bitters. When mixed to achieve the best-fitting taste and served with chilled ice, both signature varieties of rum punches can easily subdue an inexperienced drinker. So you shouldn’t overindulge if you are a light drinker. 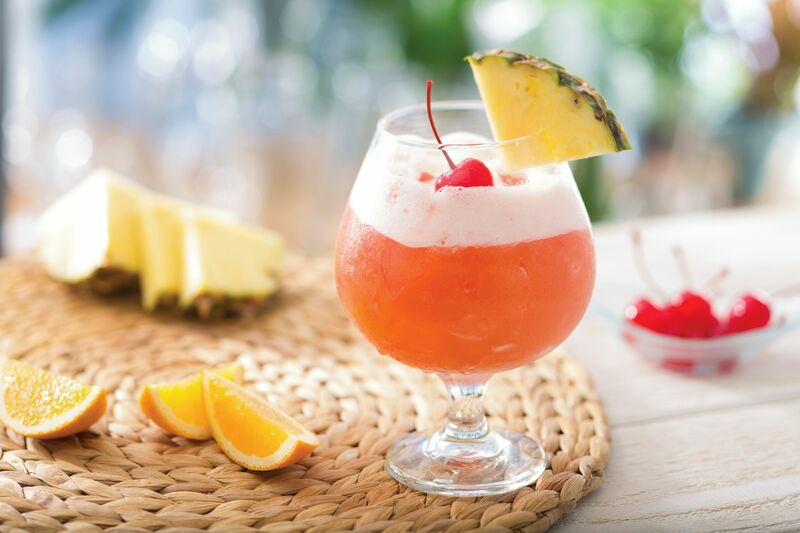 If you like drinking sweet stuff, you shouldn’t skip a chance to have this scrumptious tropical drink, which is made by mixing regular rum with coconut-flavored rum, grenadine and fruit liqueurs. Though the exact origin of this cocktail remains unknown, Bahamas is recognized as its official home. The drink is often blended in an electric blender until a slushy consistency is achieved. 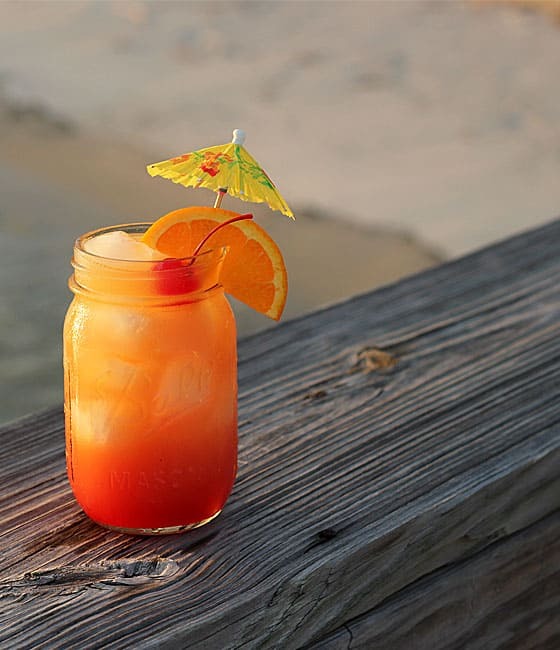 If you make your way to the Bahamas during the summertime, the Bahamas Mama would be the perfect tiki drink to sip down. Are you planning to spend Christmas in Jamaica? If so, you shouldn’t pass up an opportunity to try the Jamaican Sorrel. 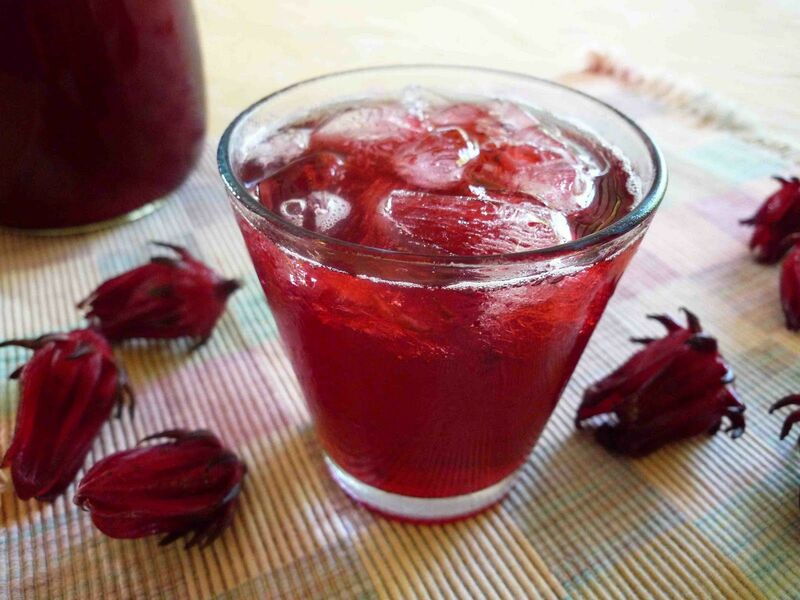 This traditional holiday favorite is made around Christmas because the dried hibiscus flowers used to prepare the drink are harvested in the wintertime (between late November and early December). Other ingredients used to make the drink include ginger, cinnamon, clove, and orange peels. The drink is best served on ice. Though it is usually enjoyed with the Christmas cake during the holiday festivities in Jamaica and other Caribbean Islands, the drink is also available on special occasions all through the year. So feel free to ask for it in the middle of your April vacation. You can choose to have your drink with or without rum. Many people know Havana, Cuba as a Cold War City. However, this Caribbean city is also home to one of the most famous tropical concoctions — the Cuba Libre. This refreshing drink is a cocktail of rum, lime juice, and Coke, and is best served when cold. Did you know that the drink derived its name from the liberation of the Island from Spanish rule? Just thought you should know the historical significance of the events that led to the invention of this popular drink. The history of rum and the Caribbean Islands dates back to the days when early sailors first discovered the Islands. Hence, rum is one of the most dominant tropical drinks available in the region. This tropical drink is available in several varieties because many Islands focus on producing local varieties, and is the mainstay of most tropical cocktails made across the region. If you can’t travel to the Caribbean region to indulge in any of the above-suggested rum drinks, you can make your own drinks from the comfort of your home. You simply need to gather the ingredients needed to mix up the cocktail you want to try. Hey Buddy!, I found this information for you: "Top 5 Caribbean Drinks to Try the Next Time You Visit the Caribbean Islands". Here is the website link: https://caribbeansbest.org/top-5-caribbean-drinks/. Thank you.